Advanced Flow Engineering has designed three different air intake systems to meet the needs of your diesel engine. For the largest possible performance gain we recommend replacing the entire air box and intake tract with the AFE Stage 2 open element air intake system. If you want to maintain a factory appearance the AFE Stage 2 Si sealed air box provides quiet power. For a great value the AFE Stage 1 air intake systems adds instant horsepower and torque for stock to mild modified turbo diesel engines. 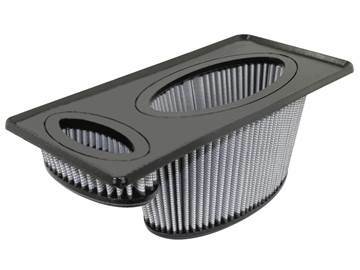 This high-flow, oiled and re-washable OEM-style replacement performance filter for your 2011-2016 Ford Powerstroke 6.7L outflows the stock paper filter by up to 38% for improved horsepower and torque. 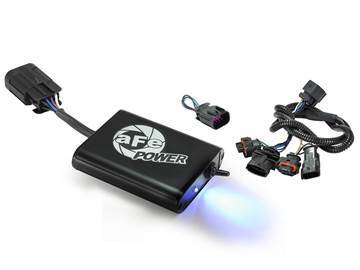 This simple and safe plug and play module for your 2014-2018 Dodge EcoDiesel Ram 1500 adds instant power by altering pressure sensor signals to increase boost to an optimum level through the entire RPM range. 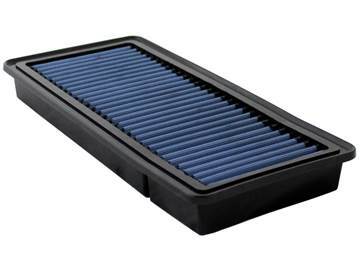 This high-flow, oiled and re-washable OEM-style replacement performance filter for your 2014-2019 Dodge 3.0L EcoDiesel outflows the stock paper filter for improved horsepower and torque. Drop it in and go! 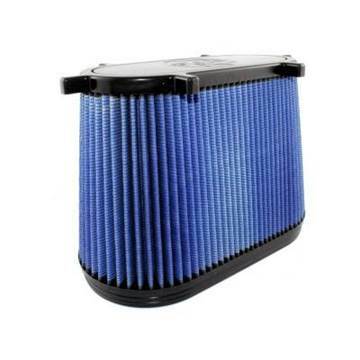 This high-flow, oiled and re-washable OEM-style replacement performance filter for your 2008-2010 Ford Powerstroke 6.4L outflows the stock paper filter by up to 17% for improved horsepower and torque. 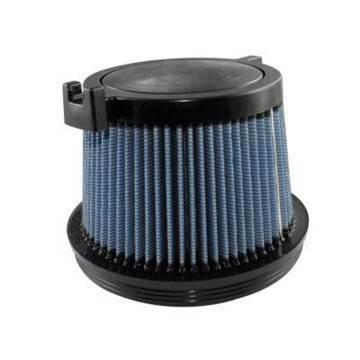 Constructed with 100% polyurethane on all four sides, this high flow, oil-free OE replacement performance filter from AFE will out flow stock paper filter for improved horsepower and torque on your 2011-2016 Ford 6.7L Powerstroke. 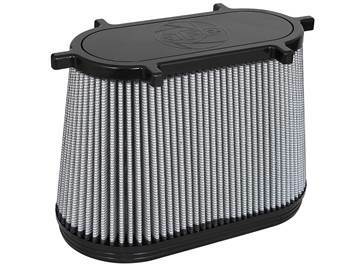 This high-flow, oiled and re-washable OEM-style replacement performance filter for your 2006-2010 GM 6.6L Duramax LBZ/LMM outflows the stock paper filter by up to 17% for improved horsepower and torque. 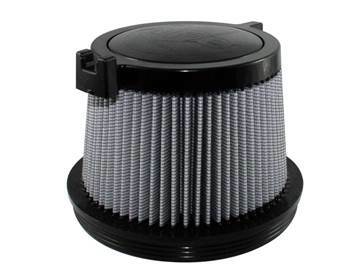 This high-flow, oiled and re-washable OEM-style replacement performance filter for your 2011-2016 GM 6.6L Duramax LML outflows the stock paper filter by up to 68% for improved horsepower and torque. Drop it in and go! 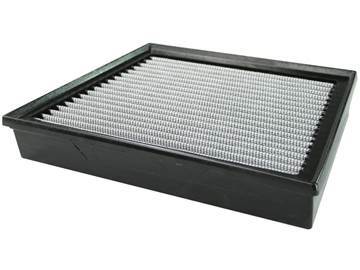 Increase the air flow to your motor with this high flow serviceable Pro-Dry-S air filter from AFE Power. 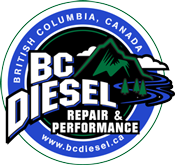 Fits the stock/OEM airbox in your 2014-2018 Dodge 3.0L EcoDiesel. Drop it in and go! 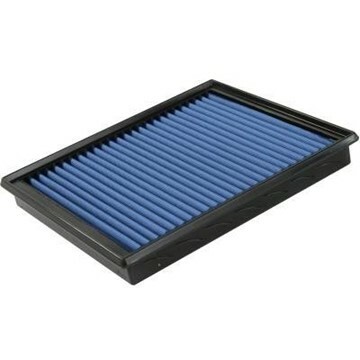 Increase the air flow to your motor with this high flow serviceable Pro-Dry-S air filter from AFE Power. Fits the stock/OEM airbox in your 2003-2007 Ford 6.0L Powerstroke. Drop it in and go! Increase the air flow to your motor with this high flow serviceable Pro-Dry-S air filter from AFE Power. Fits the stock/OEM airbox in your 2008-2010 Ford 6.4L Powerstroke. Drop it in and go! 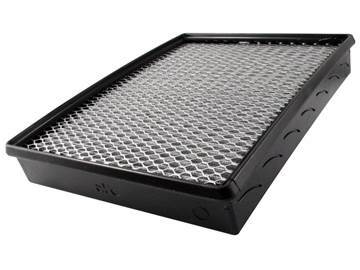 Increase the air flow to your motor with this high flow serviceable Pro-Dry-S air filter from AFE Power. Fits the stock/OEM airbox in your 2011-2016 Ford 6.7L Powerstroke. Drop it in and go! 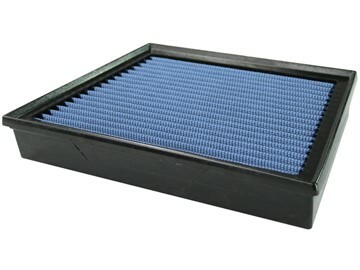 Increase the air flow to your motor with this high flow serviceable Pro-Dry-S air filter from AFE Power. Fits the stock/OEM airbox in your 2001-2005 GM 6.6L Duramax LB7/LLY diesel. Drop it in and go! 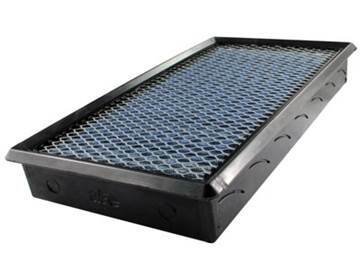 Increase the air flow to your motor with this high flow serviceable Pro-Dry-S air filter from AFE Power. Fits the stock/OEM airbox in your 2006-2010 GM 6.6L Duramax LBZ/LMM diesel. Drop it in and go! 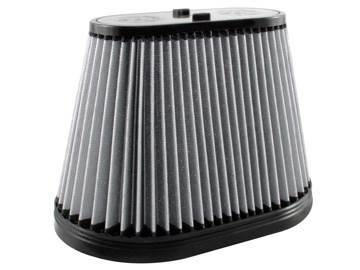 Increase the air flow to your motor by over 68% with this high flow serviceable Pro-Dry-S air filter from AFE Power. Fits the stock/OEM airbox in your 2011-2016 GM 6.6L Duramax LML. Drop it in and go! 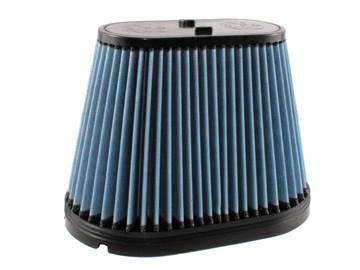 Constructed with 100% polyurethane on all four sides, this high flow, oiled OE replacement performance filter for your 2011-2016 Ford 6.7L Powerstroke will out flow stock paper filter for improved horsepower and torque. Washable and reusable! 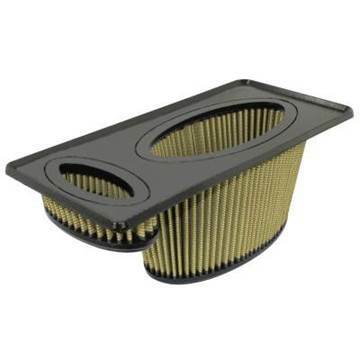 Constructed with 100% polyurethane on all four sides, this high flow, oiled OE replacement performance filter for your 2011-2016 GMC/Chevy Duramax 6.6L LML will out flow stock paper filter by up to 68% for improved horsepower and torque. Washable and reusable!